For my birthday my parents ordered me the Sterilite 3-Drawer Medium Cart's from Walmart, they come in a set of 2 for just $21. We picked site to store shipping which usually only takes one week... but due to shipping delays it took three weeks to arrive at our Walmart. My husband picked them up this week. 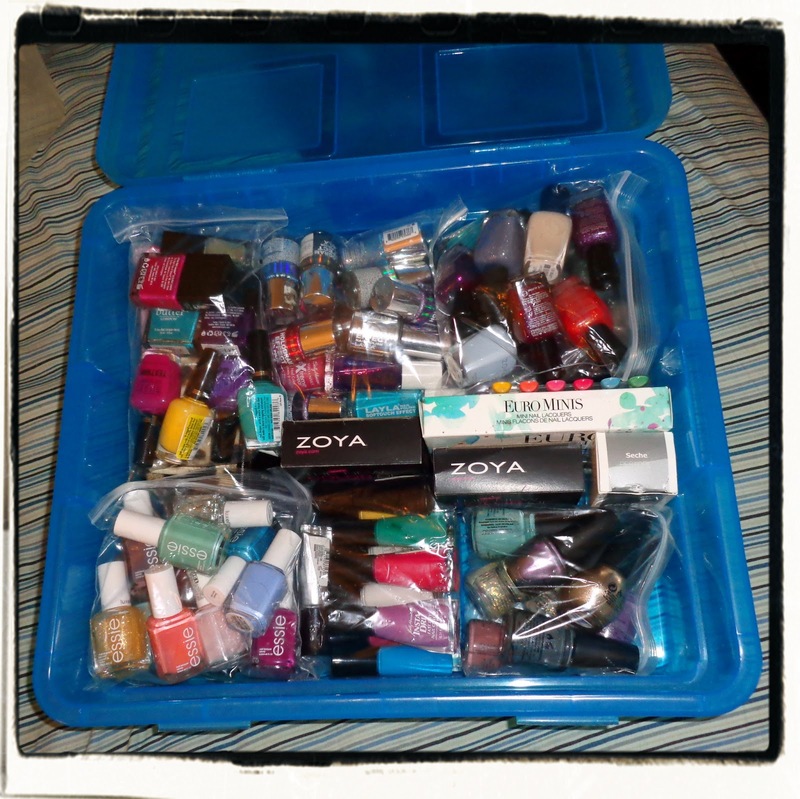 This was how my polishes were being stored before, they were separated in plastic baggies by brand. 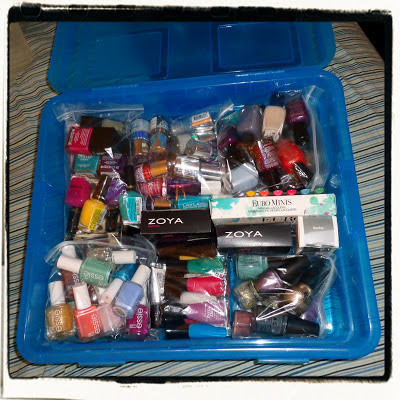 I've updated My Complete Nail Polish Collection page, with newer photos. Check it out! P.S. I will be swatching these pretties from Nire's Desire Polish soon.